This morning I left a little Valentine for the ones I love. I wanted to share in case you are in need of a last minute idea.... I got mine from New Amsterdam Valentine Market which was held last weekend in a very special public space managed by the South Street Seaport Museum at 215-217 Water Street. If you did not get a chance to swing by the market you can find these sweets by clicking on the links below! 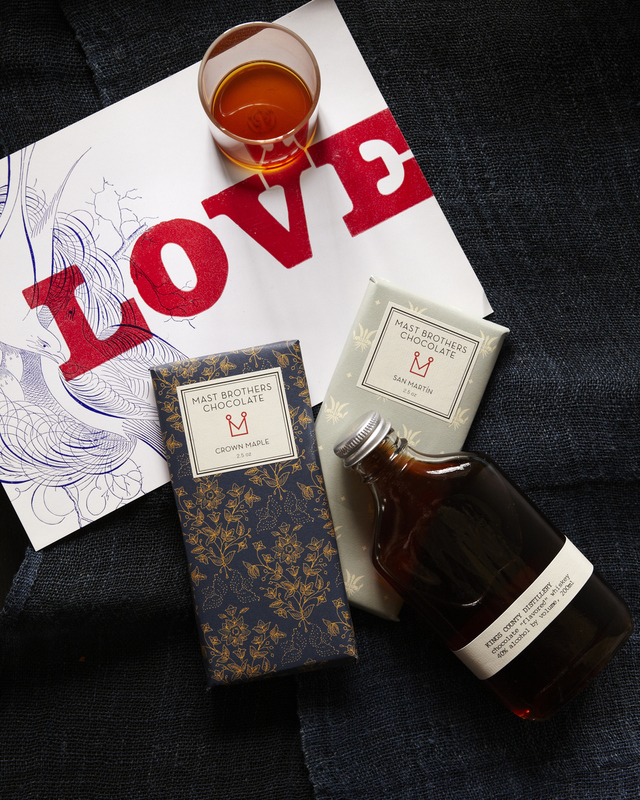 For now at least, the Chocolate Whiskey remains an experimental release and supply is extremely limited.The full list of stores that carry the chocolate whiskey is as follows: (Brooklyn) Heights Chateau, The Greene Grape, Dry Dock, Fermented Grapes, Juice Box, Natural Wine Co., Pier Wines, Brooklyn Oenology, Thirst Wine Merchants, and The Whiskey Shop. (Manhattan) Park Avenue Liquor Shop, Winfield Flynn, Astor Wines and Spirits, Union Square Wines Downtown Cellars, and (upstate) A Wine for All.